There’s an old saying that goes “To err is human,” from the late Alexander Pope. While we all make mistakes, we still make mistakes. But at least you guys didn’t make the mistakes that these workers did – all of which deserved a feature on Dunce Day (11/8). Brad was a bricklayer that ended work on the right path: finished with his nail gun, he turned off the compressor and removed the nail cartridge. So far so good, right? Then after a few beers, Brad and his friends joked about construction accidents. And sure enough, for fun and games, our worker pointed his nail gun at his head and pulled the trigger. Yes, Brad had removed the nail cartridge from the nail gun itself. But the remaining 3.2cm nail with a small bit of compressed air? Still there. Brad’s friends weren’t fans of the punchline or the sudden appearance of a red dot on his skull. So off to the hospital they went. Don’t worry, after an extensive surgery Brad survived the ordeal and lived to tell it with little brain damage. But hopefully, he’s learned to not use power tools as props for his comedy skit next time. A worker tied himself to a piece of scaffolding for safety. Which would be fine, if it wasn’t for the fact that the piece wasn’t attached to anything either. After our nameless Nate tossed the piece out of his hands, he was dragged with it down to the much lower, actual scaffolding floor. Upside? It was fully planked! Downside? He broke both his legs. Yikes. Recovering from his injuries, we hope he remembers one of the biggest rules about fall protection: don’t attach your personal fall arrest equipment to anything that isn’t a sturdy, fixed scaffold. When someone’s moving a house (yes, we know most of you may NEVER have to move a house, bear with us), you’d have to make sure to take everything with you. Someone in this operation forgot to use a bit of foresight and common sense. Tasked with moving an entire house 500 yards, they faced a shocking roadblock. The contractors would have had to move the house under very heavy, very live powerlines the same height as the house. Solution? Get a guy to ride the house and use a board (a damp board mind you) lift the power lines over. Fixed it! Is anyone shocked at the real outcome? As expected, when the worker’s conductive body came into contact with a 7200-volt power line, he flew from the house like an over-caffeinated Santa Claus. But there’s a happy ending: though the worker had suffered from third and fourth-degree burns, he did survive. Some people have another saying: you can’t fix stupid. We disagree: these aren’t stupid decisions. Just bad ones that could’ve cost many a worker their lives if things went further south than they did. 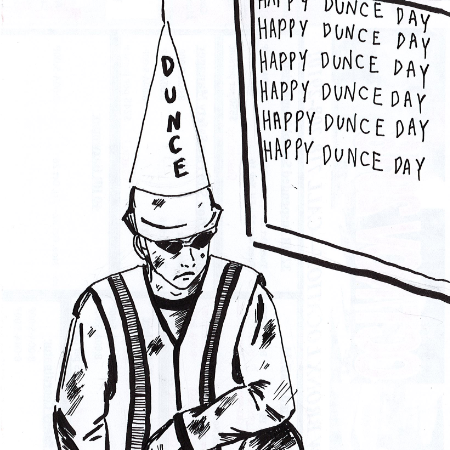 So please utilize this Dunce Day post as a reminder to be careful, mindful, and safe when you’re on the job. Because while you won’t be put into a corner for ill-advised behavior, No one wants their last move on the job to be the last move in their life. We want you to live (and live well!) 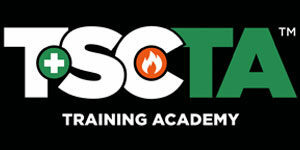 by having a safe work environment and knowing proper safety procedures. In a nutshell: dumb stories are funny but don’t be a dummy.